Erik Kowalewsky focuses his practice on insurance coverage, including among other lines D&O, E&O, tech, cyber, general liability, property, healthcare, marine and energy, in the primary, excess and reinsurance context. He has particular experience with manuscript policy forms under U.S. and English law, including those providing difference in conditions/difference in limits coverage, and master-local coverage programs. Mr. Kowalewsky advises London Market and other international insurers on scope of coverage, monitoring and settling underlying litigation by third parties, advice on wordings, as well as litigating disputed coverage claims. Mr. Kowalewsky also has substantial experience representing parties in maritime litigation, including hull and machinery loss and pollution claims. He has handled major commercial litigation, including contract and business tort claims, real estate disputes, and copyright and trademark disputes. Mr. Kowalewsky was seconded to a major Lloyd's syndicate in London, where he worked closely with the professional liability and directors and officers claims teams. Mr. Kowalewsky regularly gives seminars to insurers in-house on compliance with the California Fair Claims Settlement Regulations. 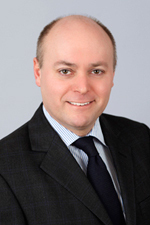 Prior to joining Hinshaw & Culbertson LLP in May 2015, Mr. Kowalewsky worked for more than a decade in the San Francisco, New York and London offices of major insurance law firms. In London, he qualified as a Solicitor of the Senior Courts of England and Wales. Mr. Kowalewsky's law school accomplishments include having been a member of the Dean's List. He received Legal Research and Writing Honors, and participated in pro bono litigation through the Legal Clinic: D.C. Law Students in Court. Obtained summary judgment for Lloyd's insurers on rescission of property policy. Affirmed on appeal to the Supreme Court of the State of New York, Appellate Division, 954 N.Y.S.2d 883, 101 A.D.3d 851 (2d Dept. 2012). Brandwein v. Butler, 218 Cal. App. 4th 1485, 161 Cal. Rptr. 3d 728 (2013). Successful appeal of dismissal of coverage claim against Lloyd’s Underwriters, upholding the principle of utmost good faith as part of marine insurance law in California.